While most of us make certain to recharge our cell phones each evening to ensure we have enough power to last an entire day, we neglect to give ourselves this same type of attention. Too often we’re running through our lives on empty, which eventually leads to mood swings, exhaustion and overall agitation. As we continue at this high intensity, we lose touch with what we really need to bring back the balance and feel good again. And when we’re no longer attuned to our own well-being, it’s time to refuel that soul. Although the expression “recharge your soul” may conjure up images of bubble baths with rose petals, it doesn’t always have to be such a self-caring type of activity. In fact, fueling the soul involves focusing our attention outside of ourselves to get out of our own heads and into something else. 1. Volunteering. Although it may seem counterintuitive to donate your time and energy to another person or cause, volunteering is the best way to recharge your soul. When you put all your attention into helping another, you fill yourself with the satisfaction that comes from being of service. 2. Music. Nothing affects a mood as quickly as music — it’s a fast track to the soul! Most of us have experienced that moment of sitting in horrible traffic, and then a good song comes on and brightens the atmosphere in the car. The beauty is you can put on your favorite song whenever you feel yourself sinking into depletion, which will pave the way to a higher vibe. 3. Movement. 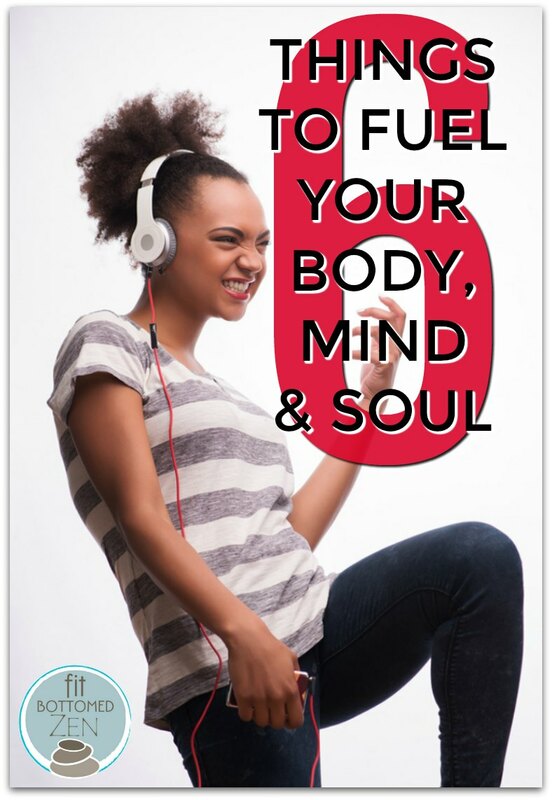 Similar to how music uplifts, your body can create more energy simply by moving. But don’t limit yourself to fitness and yoga. You can use any type of movement to shake off negativity and re-energize your soul. Take five minutes to dance it out in your living room. Bring a loved one into the session, and you’ll experience the benefit of connection which also will serve as a recharge. 4. Declutter. It helps if a purification takes place when you need to fuel the soul, and clearing out old and unwanted belongings is the perfect activity to do this. Have you noticed how you feel lighter after getting rid of a big bag of clothes that you never wear? The space you’ve created in your closet transforms into an inner spaciousness that gives you more energy along with an overall sense of ease. 5. Connect to nature. Often our depletion arises from a constant state of doing. We don’t give ourselves the time to slow down and simply be. This is when a gentle walk outdoors with the sole purpose of listening will provide the recharge we need. The goal here is to have no goals. Let your feet guide your way, and keep your ears open to the wind. 6. Go on retreat. For those times when your schedule and bank account permit, heading off on retreat is a sure-fire way to recharge your soul. Whether it’s for yoga, meditation or any other type of healthy-living program, the total immersion will take you out of your everyday life and instill a sense of calm and well-being that often carries over for weeks (maybe months!) afterward. Remember that it’s a build-up that ultimately creates the burn out so if you can start incorporating these activities on a regular basis, you’ll avoid running on empty while keeping a fully charged soul. Nothing really makes my heart as content and satisfied with myself as volunteering and going into nature. Great post, more people should do more of these.